I already have have your Adobe Photoshop/Lightroom 5 manual. 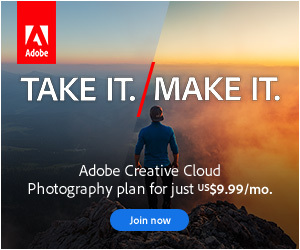 I subscribed monthly to adobe and recently have been upgraded to Lightroom 6 CC would I in your opinion benefit from purchasing your new publication Lightoom 6? Hi Helen. On this occasion, it’s a definite yes. I’ve spent the last 2 years rewriting the book and it’s the best I’ve written. Even people who have read every release are finding new tips and tricks. You should have received an upgrade discount code so you don’t have to pay full price as you own a previous version. 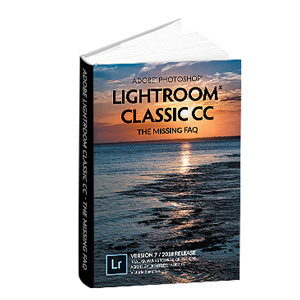 Hi Helen, I have also purchased Vic’s Lightroom FAQ, and I am so sure you will pick up something or the other from the book, I being well conversant with both Lightroom and Photoshop. It’s a nice piece of manual written and you won’t regret buying it. Thanks Vipin! I’m so pleased you’re finding new tricks. Also, related to the Crop tool – double clicking the Angle keyword resets it to 0 degrees, not perform an Auto Level command; you do that by clicking the Auto button below the lock. Oh well spotted, thanks, I’ll get them updated within the next day or so. w/re to my previous – Shift-double-click on “Angle” seems to do the same as hitting the “Auto” in the crop tool… sorry to have missed this on the previous reply. Nice shortcut guides. Thanks Lyle. The downloads are now updated. I didn’t worry about putting the Shift-double-click in as we now have a proper button for it. Hi, can we convert adobe camera raw presets to lightroom preset ? i convert LR preset to RAW preset, i am asking viceversa.. In Lightroom Classic 7.3 (latest release), Lightroom can read the ACR format presets without needing to convert.